If you’re always on the go, having a proper laptop is important, especially if you’re a businessperson. There all sorts of laptops on the market, and today we’re going to show you the best business Windows 10 laptops. 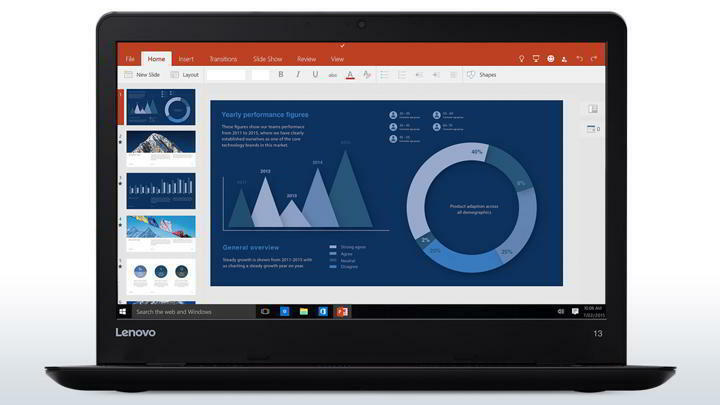 What are the best business Windows 10 laptops? This is a 15-inch laptop intended for small businesses. The device uses 2.2GHz quad-core AMD APU that combines CPU and integrated graphics. Regarding the display, this device offers 1366 x 768 resolution. The APU uses A8-7410 processor and integrated Radeon 5 graphics. Regarding the memory, this laptop uses 4GB 1600MHz DDR3 RAM. As for the storage, there’s a 1TB 5400 SATA hard drive. Additional features include one USB 3.0 port and two USB 2.0 ports. There are also VGA and HDMI ports available so you can easily connect the device to an external display. DVD drive, 802.11n Wi-Fi and Bluetooth are also included. The device comes with a 31Wh Lithium-ion battery and it can last over four hours on a single charge. 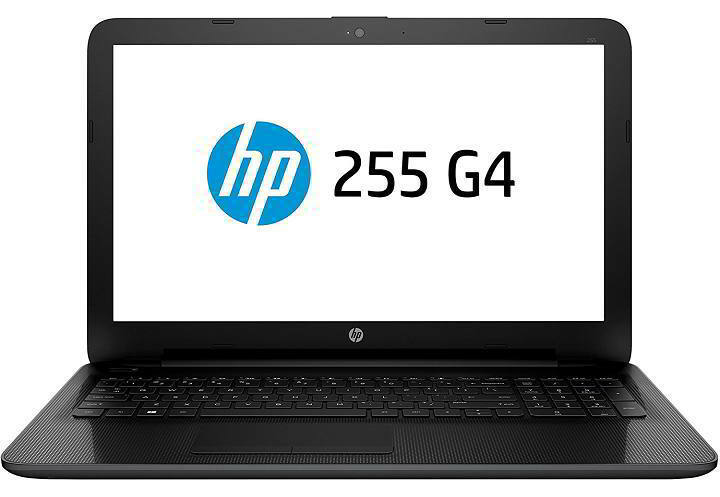 HP 255 G4 offers humble specifications so it will be perfect for smaller or home business. Regarding the price, you can get this model for $350. 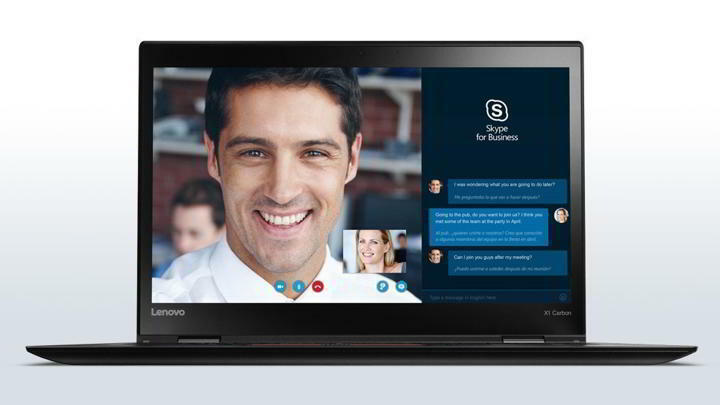 Lenovo ThinkPad T560 is another 15.6-inch laptop for business users. The laptop weighs about 5lbs, so you can easily carry this device in your bag. Regarding the processor, you can choose between Intel Core i5-6200U, Intel Core i5-6300U and Intel Core i7 6600U processor. As for the graphics, the device comes with Intel Integrated graphics, but you can choose a dedicated graphic card up to NVIDIA GeForce 940MX 2GB. This laptop supports up to 32GB of RAM and it comes with 500GB hard drive or SSD storage up to 512GB. Although this is a 15.6-inch device, you can choose between HD, FHD, and 3K display. The device also supports external hot-swappable battery, and using the Power Bridge technology you can swap batteries without powering down your laptop. Using this method you laptop can last 24 hours on a single charge. Lenovo ThinkPad T560 comes with three USB 3.0 ports, RJ45, Mini DisplayPort, HDMI and 4-in-1 card reader. If you want, you can also get a model with smart card and fingerprint reader for extra security. Wi-Fi and Bluetooth are included, but there’s also an option for WWAN, so you can connect to 4G LTE networks. Lenovo ThinkPad T560 is a great laptop, and you can get the entry model for $759. Unlike previous entries on our list, Dell Latitude E7470 is a 14-inch device and it uses 1366 x 768 resolution. There are several models available, and all of them are powered by Intel Core processors. Depending on the model you’ll get Intel Core i3-6100U, Intel Core i5-6200U or Intel Core i7-6600U processor. Regarding the memory, most models offer 8GB 2133MHZ DDR4 memory, while some models have 16GB RAM. As for the storage, you can get up to 512GB SSD. As for additional ports, all models have three USB 3.0 ports, HDMI port, SD 4.0 memory card reader, Ethernet connector and SIM card slot. If you require additional security, this device offers optional fingerprint reader, smart card reader or contactless smart card reader. Dell Latitude E7470 is a great laptop for business users, and you can get the basic model for $839.99. This laptop comes with 15.6-inch touchscreen display and it supports 1920×1080 resolution. The device comes with Intel Core i7 5500U 2.4 GHz processor, 8GB DDR3L SDRAM and 1TB HDD storage. In addition, there’s also a DVD drive available. Dell Inspiron i5559 has Intel HD Graphics, 3-in-1 media card reader, 802.11ac Wi-Fi and Bluetooth 4.0. The device comes with an HDMI port, backlit keyboard and a 40WHr removable 4-cell battery. According to Dell, the battery can last up to 7 hours on a single charge. Dell Inspiron i5559 offers solid design and performance, and you can get it for $589. 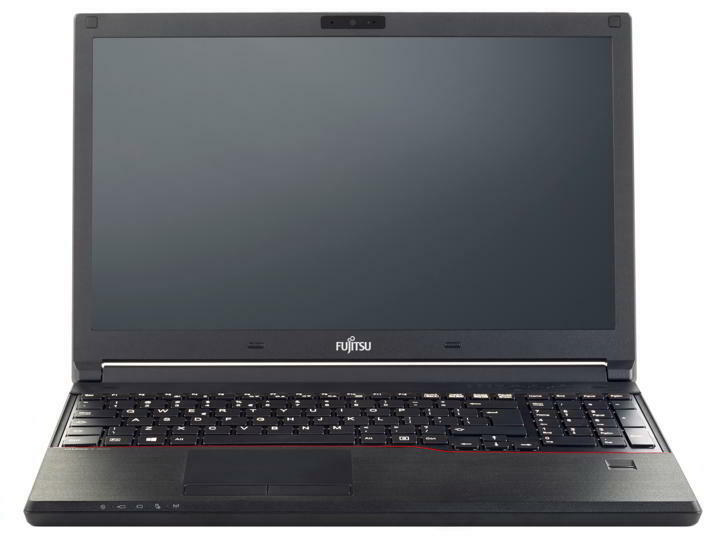 Fujitsu LifeBook E736 is a 13.3-inch LED backlight device and depending on the model it offers 1366×768 or 1920×1080 resolution. In terms of hardware, you can choose an Intel Core processor up to Intel Core i7 6600U. This device has 2 DIMM memory slots, and it supports DDR4 2133 MHz memory. Regarding the capacity, you can have up to 32GB RAM. As for multimedia, there’s Intel HD Graphics 520 available. Regarding the storage, you can choose up to 1TB SATA hard drive or up to 512GB SATA SSD. Fujitsu LifeBook E736 comes with one VGA port and one DisplayPort, so you can easily attach external displays to it. Additional features include three USB 3.0 ports, Ethernet port, optional smart card slot, card reader, and optional SIM card slot. Regarding the battery, it can last up to 19h. We also have to mention that this device has a modular bay for second battery. Regarding the security, there’s an integrated fingerprint sensor available. 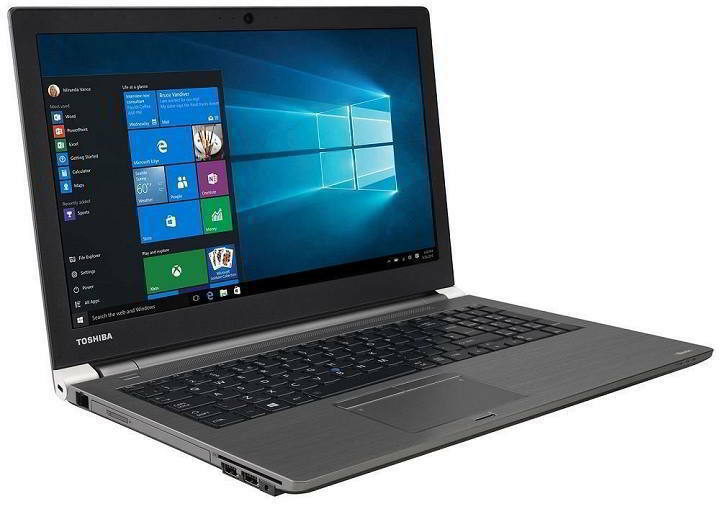 Fujitsu LifeBook E736 offers great hardware specifications, and you can get this model for $1,293. This is a 13.3-inch device, and it comes with 1366×768 resolution. This laptop uses Intel Core i7 6600U processor and Intel HD Graphics 520. Regarding the memory, this device has 8GB DDR3L 1600MHz memory. As for storage space, this device uses 256GB M.2 Solid State Drive for storage. Toshiba Portege Z30 comes with SD card reader, three USB 3.0 ports and an HDMI output. Wi-Fi, Bluetooth and Ethernet port are also available. Additional features include fingerprint reader and premium spill-resistant raised tile backlit keyboard. As for the battery, this device has 4-cell 52Wh battery that can last more than 15 hours on a single charge. Toshiba Portege Z30 is available in silver and magnesium colors, and you can get this device for $1275. Keep in mind that the price will change depending on the hardware specifications and model. This is a 14-inch device and it comes with 1366×768 resolution. We also have to mention that there are models with 1600×900 resolution available as well. The device comes with AMD A series A10 PRO-7350B 2.1 GHz quad-core processor. Regarding the cache, the processor has 4MB L2 cache. As for the graphics, this laptop uses AMD Radeon R6. The device has two memory slots and it can support up to 16GB memory. Regarding the type of memory, this device uses DDR3L SDRAM 1600MHz memory. As for the storage, HP EliteBook 745 G2 has 500GB 7200 RPM hard drive installed. The device has four USB 3.0 ports, and one VGA and one DisplayPort. Of course, there’s a card reader, SmartCard and fingerprint reader available. Additional features include Ethernet port, Wi-Fi and Bluetooth 4.0. The device comes with 50Wh Lithium-Ion battery. 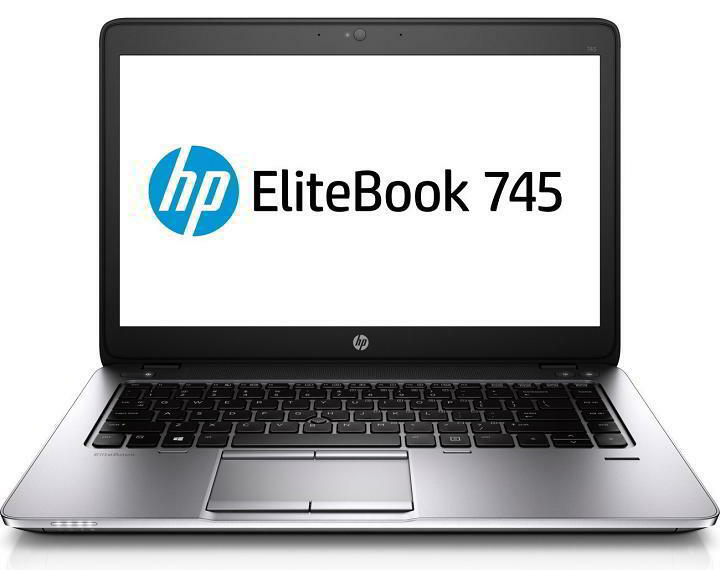 Regarding the price, you can get HP EliteBook 745 G2 for $1132.92. ThinkPad X260 is a 12.5-inch laptop and it supports 1366×768 resolution. We have to mention that there are models that offer 1920×1080 resolution as well. Regarding the processor, you can choose between several Intel Core models up to Intel Core i7-6600U. As for the graphics, this device comes with Intel integrated graphics. ThinkPad X260 supports up to 16GB DDR4 memory which should be enough for most users. In terms of storage, you can choose between 500GB or 1TB 5400 RPM hard drive. If you prefer SSD for storage, you can get a Solid State Drive up to 512GB instead. ThinkPad X260 has three USB 3.0 ports, Mini DisplayPort, HDMI, 4-in-1 card reader and optional Smart Card Reader. Wi-Fi and Bluetooth are also supported. The device weighs 2.9 lbs and comes with 3+6 cell 72WHr battery. Speaking of battery, the battery can last up to 21 hours, and it even supports hot-swapping. Lenovo ThinkPad X260 is a great device, and you can purchase this laptop for $949. Keep in mind that the price can vary depending on the model and hardware specifications. Unlike other devices on our list, Lenovo ThinkPad 13 is compact and portable. The device weights 3.17 lbs and it’s just .79-inches thick. This is a 13.3-inch device and it supports 1366×768 resolution. We have to mention that there are also models that support 1920×1080 resolution. In terms of hardware, you can choose between several Intel Core processors up to Intel Core i5-6300U with vPro. As for the graphics, this laptop uses Intel Integrated Graphics. The laptop comes with two DIMM slots and it can use up to 16GB DDR4 memory. As for the storage, you can choose up to 512GB SSD SATA 3 or 256GB SATA3 – OPAL2. Lenovo ThinkPad 13 comes with three USB 3.0 ports and a single USB-C port. The laptop has a full-size HDMI port, OneLink+ and a fingerprint reader for extra protection. We have to mention that fingerprint reader is only available for the black model. Additional specifications include 4-in-1 card reader, dual band Wi-Fi and Bluetooth 4.1. This device comes with 42 WHr battery that can last up to 11 hours on a single charge. 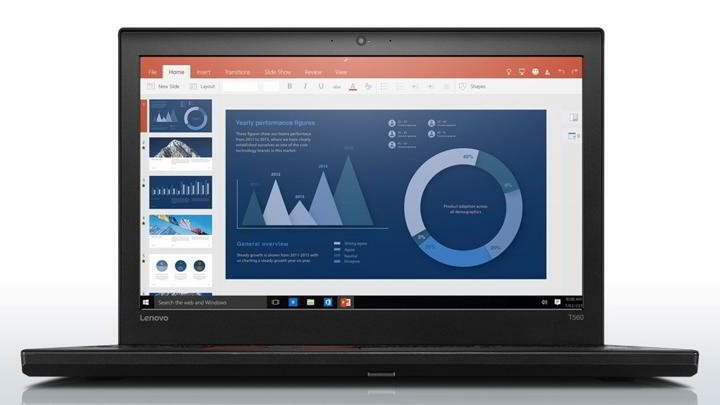 Lenovo ThinkPad 13 is a great device, and it will be perfect for smaller business. Regarding the price, you can get the basic model for $593.10. This is a 12.5-inch device, but it comes with UWVA anti-glare ultra slim LED-backlit display and it supports 1920×1080 resolution. The device uses dual core Intel Core m5-6Y54 with Intel HD Graphics 515 processor. Processor works at 1.1GHz but with Turbo Boost Technology you can achieve 2.7GHz. As for the memory, HP EliteBook Folio G1 comes with 8GB LPDDR3-1866 SDRAM. There’s also 128GB M.2 SATA TLC SSD for storage. Regarding the additional ports, the device comes with two USB Type-C ports with Thunderbolt support and one headphone/microphone combo. Additional features include backlit keyboard, dual band Wi-Fi and Bluetooth 4.2. The device uses HP Long Life 4-cell 38Wh Li-ion polymer battery. As for security, this laptop comes with IR camera that you can use for face authentication. 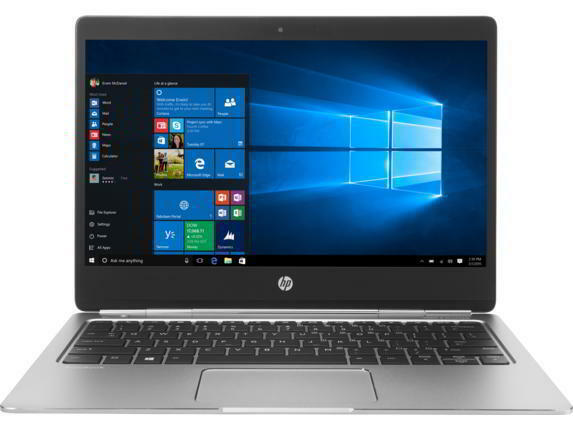 HP EliteBook Folio G1 is an amazing device, and you can get it for $891.05. Lenovo ThinkPad X1 Carbon is another lightweight laptop, and it weighs only 2.51 lbs while being 16mm thin. This device is somewhat durable thanks to the four layers of carbon-fiber reinforced chassis and magnesium alloy roll-cage. ThinkPad X1 Carbon passed 12 military-grade requirements, so it offers a decent protection. Regarding the hardware, the device comes with up to Intel Core vPro i7-7600U processor. This is a 14-inch device and it comes with 1920 x 1080 or 2560 x 1440 resolution. The device also has integrated Intel HD Graphics 620. Regarding the memory, this laptop supports up to 16GB LPDDR3 RAM. As for the storage, you can choose up to 1TB SSD PCIe TLC OPAL2. Additional features include two Thunderbolt 3 ports, two USB 3.0 ports and one HDMI port. There’s also an Ethernet port, microSD and MicroSIM port. The device offers both Wi-Fi and Bluetooth 4.2, and there’s an optional NFC support. As for security, there’s dTPM 2.0 and touch fingerprint reader. The device has 720p HD camera, but there’s optional IR camera for facial authentication. Regarding the battery, this device can last up to 15.5 hours on a single charge. 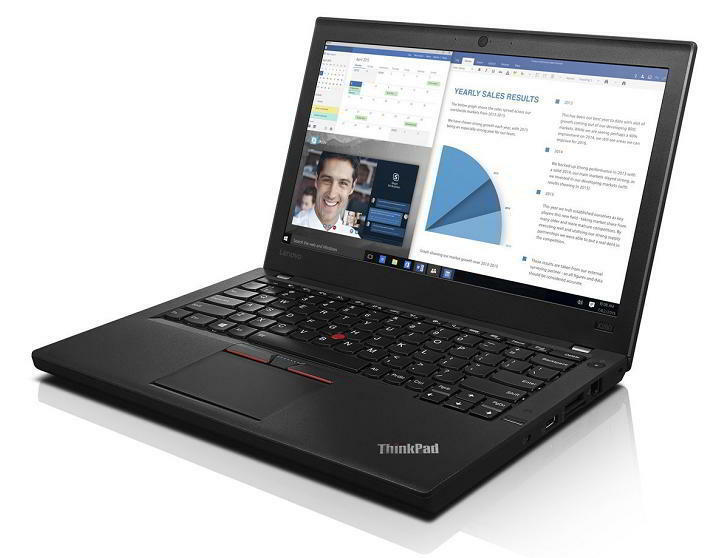 Lenovo ThinkPad X1 Carbon is durable, lightweight and it offers amazing hardware specifications. Regarding the price, you can get this model for $1299.98. Keep in mind that the price can change according to the hardware specifications. This is a 15.6-inch device, and it comes with UltraSharp FHD IPS display. Display supports 1920×1080 resolution, wide view, and it’s also anti-glare and LED-backlit. Regarding the processor, you can choose up to Intel Core Xeon E3-1505M v5 Quad Core 2.80GHz CPU. As for the memory, you can get up to 32GB DDR4 RAM. Regarding storage, some models offer 500GB or 1TB hard drive, while others offer 265GB or 512GB M.2 solid state drive. This device is perfect for multimedia, and it comes with Nvidia Quadro M1000M2GB GDDR5 dedicated graphics card. All models have one Thunderbolt 3 port and two USB 3.0 ports with PowerShare. Additional ports include one HDMI and one headphone and microphone combo jack. We also have to mention that all models come with SD card reader that supports cards up to 64GB. All devices offer dual band Wi-Fi and Bluetooth 4.1. In addition, this laptop comes with Type-C to Ethernet adapter as well. All models have 3-cell 56Wh Lithium Ion battery that supports ExpressCharge feature. 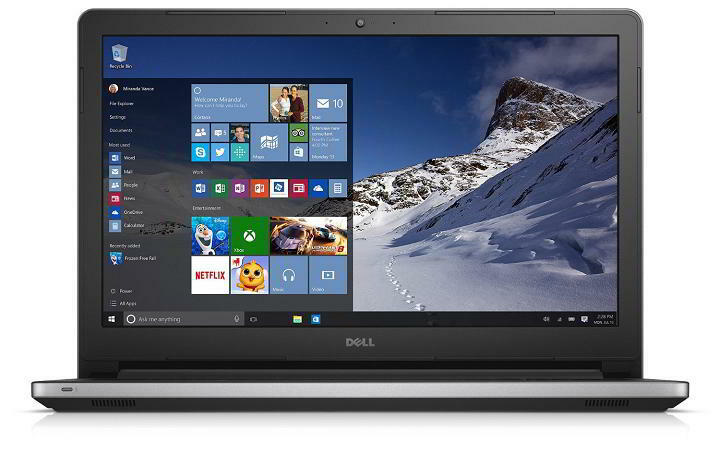 Dell Precision 15 5510 is an incredible laptop that offers amazing hardware specifications. Regarding the price, this laptop costs $1496.98. We have to mention that the price can change according to the specifications. ThinkPad X1 Yoga is a 2-in-1 device, and you can use it as a laptop or a tablet. The device comes with 14-inch display and it supports up to 2560×1440 resolution depending on the model. This laptop uses up to i7-7650U Intel Core i7 vPro processor and integrated Intel HD Graphics 620. There’s also an optional Intel Iris Plus Graphics 640. As for the memory, the device can support up to 16GB 1866 MHz LPDDR3. Regarding the storage, you can choose up to 1TB SSD TLC OPAL2 storage. Additional specifications include two Thunderbolt 3 ports, three USB 3.0 ports and HDMI port. There’s also an Ethernet port, microSD and MicroSIM port. The device comes with Wi-Fi, Bluetooth 4.2 and optional NFC. The laptop has dTPM 2.0, fingerprint reader, and if you want extra security you can get infrared camera for facial recognition. You can use this device in four different modes, and you’ll also get a dockable and rechargeable stylus pen with it. ThinkPad X1 Yoga is an amazing device and you can get it for 1279.99. Of course, the price will change according to the specifications. 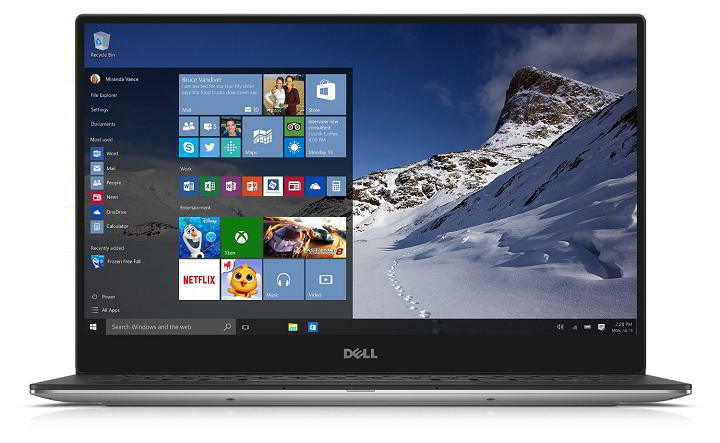 Dell XPS 13 is 13.3-inch device and it comes with FHD AG InfinityEdge display. All models from the Dell XPS 13 series use the same display and they all have 1920×1080 resolution. Regarding the hardware, you can choose up to Intel Core i7-7500U processor. The basic model comes with 4GB memory while all other models offer 8GB LPDDR3 1866MHz RAM. Regarding the storage, two models use 128GB SSD while the other two use 256GB PCIe SSD. As for multimedia, all models use Intel HD Graphics. Additional features include two USB 3.0 ports with PowerShare, SD card reader and headset jack. There’s also one Thunderbolt 3 port, and you can connect Dell Adapter to it to get VGA, HDMI and Ethernet port. Keep in mind that Dell Adapter is sold separately. All Dell XPS 13 models have a 60WHr battery. 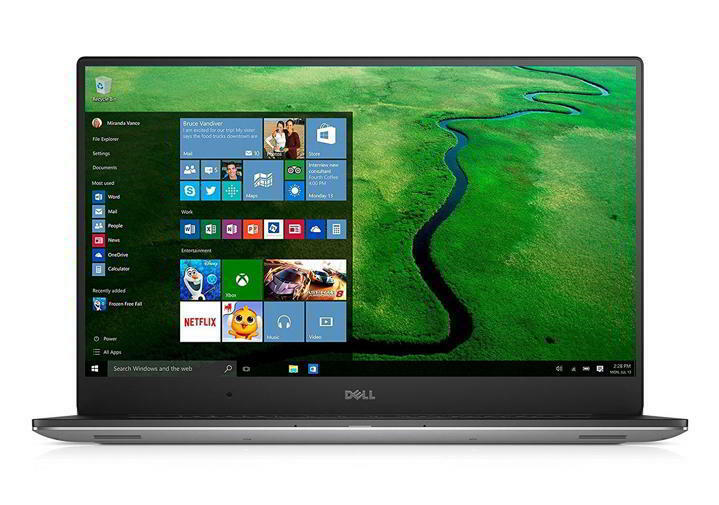 Dell XPS 13 is an amazing laptop and you can get it for $1024.98. Keep in mind that the price can change depending on the hardware specifications. 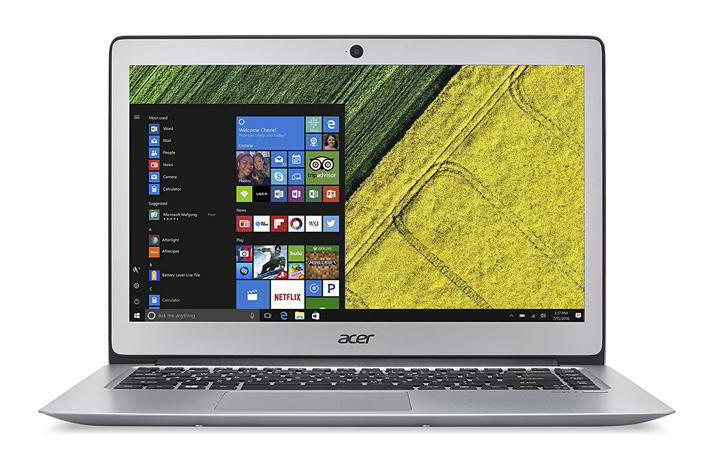 Acer Swift 3 is a 14-inch laptop and it comes with LED 1920 x 1080 display. The device comes with ComfyView ISP display technology and its powered by Intel Core i5 6200U 2.30 GHz dual core processor. The device comes with 8GB DDR4 SDRAM and 256 SSD. If you want to expand the storage, there’s a SD card reader available. Regarding multimedia, the device uses Intel HD Graphics 520. Additional features include Wi-Fi 802.11ac, built-in fingerprint reader, and one USB 2.0, USB 3.0 and one USB 3.1 Type-C port. The device comes with 4-cell Li-Ion 3220 mAh battery that can last more than 10 hours on a single charge. The laptop comes with sleek aluminum body and it’s only 0.71-inches thin. Acer Swift 3 offers decent hardware specifications and a great design, so it’s perfect for business users. Acer Swift 3 is available for $499, but the price will change depending on the model and specifications. This is another 2-in-1 device coming from Toshiba. This is a 15.6-inch laptop and it comes with 1920×1080 resolution. The device comes with TruBrite and wide-view IPS technology in order to bring you the highest quality image. The device is powered by 2,2GHz Intel Core i5 processor and 8GB 1600MHz RAM. Regarding the storage, there’s a 128GB SSD available. We also have to mention that this device has integrated Mobile Intel HD graphics. Just like with all other 2-in-1 devices, the display can be rotated up to 360 degrees thus allowing you to use Satellite Fusion 15 in several different modes. Additional features include LED-backlit keyboard, two USB 3.0 ports, one USB 2.0 port and HDMI port. Toshiba Satellite Fusion 15 is a decent device for business users, and if you’re looking for 2-in-1 device, this laptop might be perfect for you. Regarding the price, you can get this laptop for $899. TravelMate P6 is a 14-inch laptop and it comes with LED backlit, ComfyView 1366×768 display. The device uses dual core Intel Core i7-6500U 2.50GHz processor. Regarding the memory, this laptop comes with 8GB DDR4 SDRAM, but you can expand it up to 20GB. As for the storage, TravelMate P6 has 256GB Solid State Drive. In terms of graphics, the laptop comes with Intel HD Graphics 520. Additional specifications include memory card reader for SD and SDXC cards. The device comes with Wi-Fi 802.11a/b/g/n/ac adapter and Ethernet port. Regarding ports, this device has three USB 3.0 ports, and one Thunderbolt 3 USB Type-C port. If you want to attach this device to external monitor you can do so by using the built-in HDMI or VGA port. The device comes with 3-cell 4850 mAh Li-Polymer battery. Since this is a business laptop, it comes with a built-in fingerprint reader for extra protection. 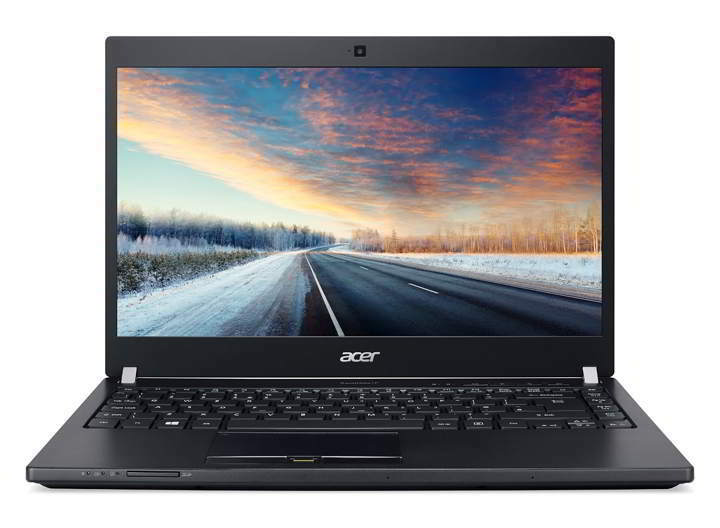 Acer TravelMate P6 offers great design and solid performance, and you can get this model for $1070.82. Bear in mind that the price will change according to the model and its specifications. 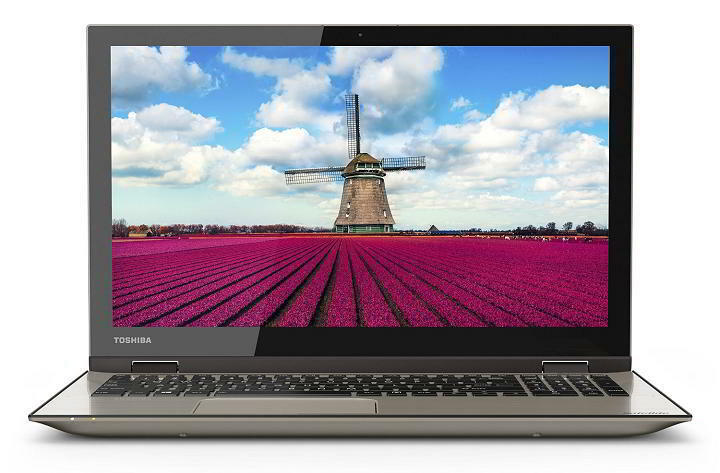 Toshiba Tecra Z50 is a 15.6-inch device and it comes with 1366×768 resolution. The device runs on Intel Core i7-6600U 2.60GHz processor. Regarding the memory, this device has 8GB DDR3L 1600MHz RAM, and 1TB 5400RPM HDD storage. Of course, optical DVD drive is also included. Additional features include SD card reader, four USB 3.0 ports with support for Sleep and Charge and HDMI port. The device comes with FHD Webcam with TruTalk dual microphones, Intel Dual-Band Wireless-AC 8260, Bluetooth and Ethernet connector. The laptop has premium spill-resistant backlit keyboard and a fingerprint reader to protect your PC from unauthorized access. The device comes with 4-cell 45Wh battery, 3D accelerometer and it weighs about 4.95lbs. 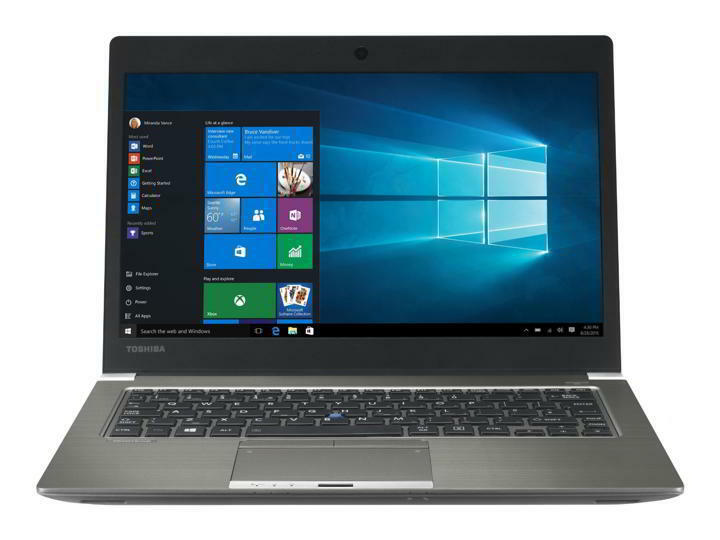 Toshiba Tecra Z50 is a solid business laptop, and you can get the entry model for $999. Finding a proper business Windows 10 laptop isn’t a simple task, but we hope that you found a suitable model on our list.